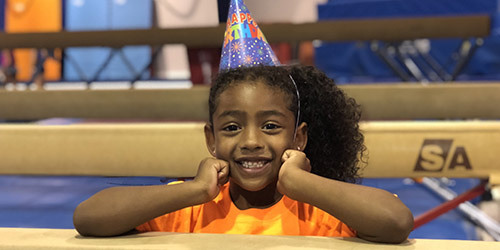 A gymnastics birthday party is a fun and unique way for any child to celebrate their special day with friends and family. All of your guests will have the opportunity to experience a variety of activities that can include an inflatable bouncer, trampolines, tumbling circuit, foam pits, bars / balance beams, obstacle course, and much more. The party also includes a gymnastics portion that is designed to cater to the age of your guests. A 50% non-refundable deposit is required on all parties to secure the date. The birthday child is included in the number of kids and all guests must have a completed liability waiver to be able to participate in gymnastics activities. 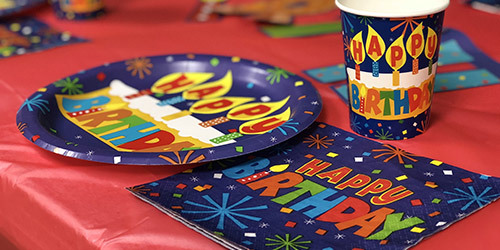 Ready to book your next birthday party?